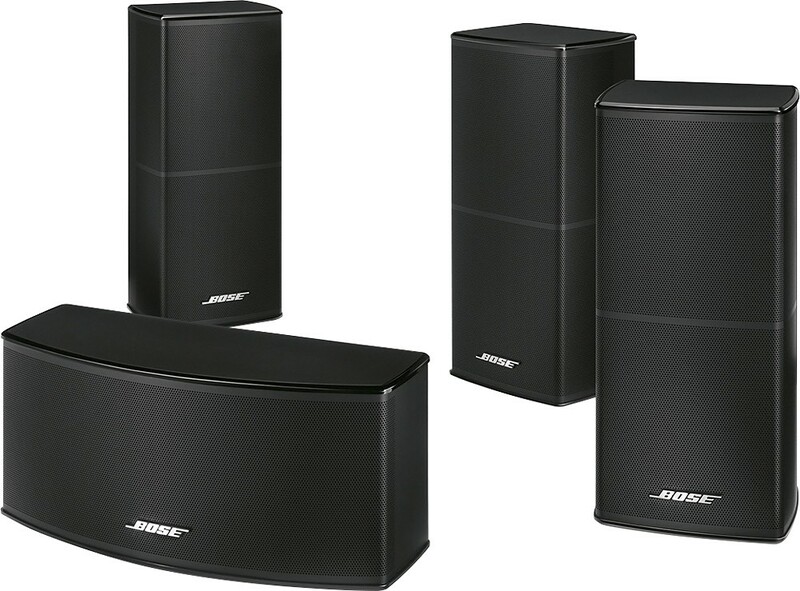 Bring your movies, TV shows and music to life with this Bose® SoundTouch® 520 home theater system. It delivers true surround sound from five small speakers and a wireless bass module. The SoundTouch® 520 system is also a powerful music system. It lets you easily enjoy wireless music when connected to your existing home Wi-Fi network or Bluetooth devices. Stream music services like Spotify and Pandora, Internet radio stations or your own stored music library. A small control console with four HDMI inputs ensures you hear the movie or soundtrack the way it was meant to be. Conventional systems that connect only to your TV's audio output can't ensure you're getting the best possible audio experience from your source devices. A universal remote is included as well to simplify your everyday experience. Via built-in Wi-Fi for access to Spotify, Pandora, iHeartRadio, Deezer, iTunes, vTuner and other Internet radio. With TrueSpace® signal processing to deliver clear sound across the room, so you can immerse yourself in your favorite movies, TV shows and music. Helps ensure smooth, balanced sound for nearly all content across volumes. Allows simple wireless pairing with select Bluetooth-enabled devices. Lets you find, manage and control music using your compatible device. Six programmable presets allow you to quickly access your favorite music from the app or included remote. To bring your favorite films to life. Number Of Component Video Outputs The number of component analog video (CAV) sources that can be connected to the product. Number Of DVI Outputs The number of digital (DVI) cables that can connect to the product. Total Power Handling How much amplifier (amplified) power (wattage) that a can be handled before distorting or damaging the product. Number Of Component Video Inputs The number of component analog video (CAV) sources that can be connected to the device. Number Of DVI Inputs The number of digital cables carrying analog (VGA) video signals that can be connected to the product. Magnetically Shielded Electromagnetic shielding reduces the damage caused by an electromagnetic field by blocking the field with barriers made of conductive or magnetic materials.